If you have been putting off training your dog due to your busy schedule, wait no more! 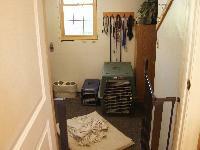 We have designed several dog boarding and training programs for the busy dog owner. Paws-itivly K9 Academy is an in-home training program where luxury dog training occurs in the trainer�s home on a limited basis. Guest/Cadets are treated as family members and every effort is made to ensure an enjoyable and stress free stay. Guests/Cadets get their own individual room (in our home), complete with all their luxuries brought from home. Guests/Cadets are constantly working on obedience and behavior skills throughout the day, given ample personal attention, exercise and good manners are always encouraged. Besides being socialized with other dogs in this environment, they are also given the unique opportunity to be socialized in a home environment with children. Requirements: Housebroken, no behavior training needed. DESCRIPTION: Covers basic pack leadership, basic commands (sit, down, stay, walking nice on leash, heel, wait and come). 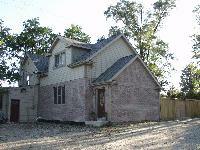 DESCRIPTION: Covers basic pack leadership, obedience commands (sit, down, come, wait and walking nice on leash). Beginning puppy behavior training � mouthing/biting, chewing, housebreaking, crate training, jumping up, excessive barking. DESCRIPTION: Covers pack leadership, obedience commands (sit, down, stay, come, walking nice on leash, wait, heel and come). Behavior modification for mouthing/biting, chewing, stealing of things, jumping up, excessive barking. DESCRIPTION: Covers all material in Paws-itivly Behaved K9s 10 week Basic obedience group class with emphasis on the basic commands, leash walking and off leash control. 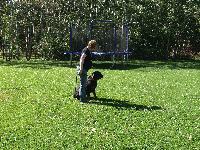 Includes two private lessons plus two drop in sessions in one of our basic obedience classes. No dog can be enrolled in the Paws-itivly K9 Academy without first partaking in a � hour training/evaluation session at the cost of $40.00 (in addition to tuition) where owner, dog and trainer are all present. 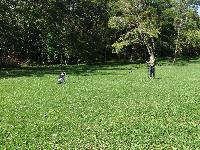 At the end of the session the TRAINER will determine if the dog is a candidate for the Paws-itivly K9 academy. Please note � of the fee or charge nonrefundable deposit to Paws-itivly Behaved K9s to guarantee reservation and enrollment. Balance due on day of drop off/first session. 2 week cancellation required to avoid forfeit of tuition. All dogs must present updated shot records including proof of bordetella vaccination. Blood titers will also be considered in absence of vaccination records. Only spayed/neutered dogs are accepted with the exception of puppies under 6 months. Because dog training/boarding school occurs in the trainer�s personal residence, the TRAINER reserves the right to terminate boarding school training at any time at the TRAINER�S discretion. Therefore, a 24-hour emergency contact must be provided by the owner to pick up the dog if necessary. Space is limited to a maximum of 2 dog cadets in a trainer�s home at a time to allow the trainer to focus on your dog and his/her individual needs. Please note, our behavior modification training is only included in the Jump Start and Boot Camp Programs. It is important for owners to realize that not all behaviors can be redirected within a 14 day program and OWNER participation is mandatory and necessary for ANY training program to be effective.